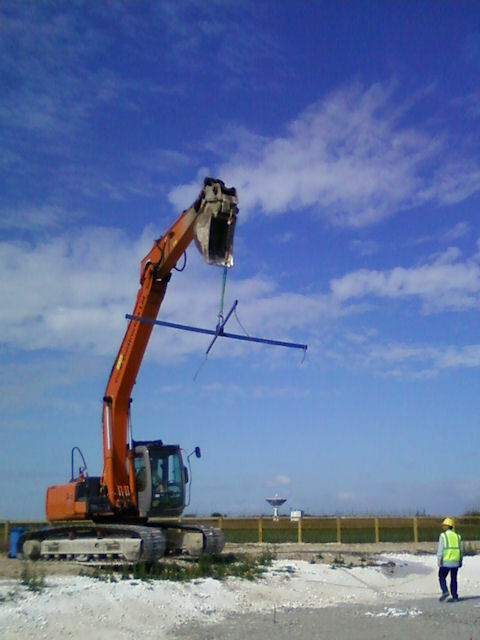 Stuart Keenan hammers an anchor peg into the ground. These anchors are hammered down about 600 to 700 millimetres. 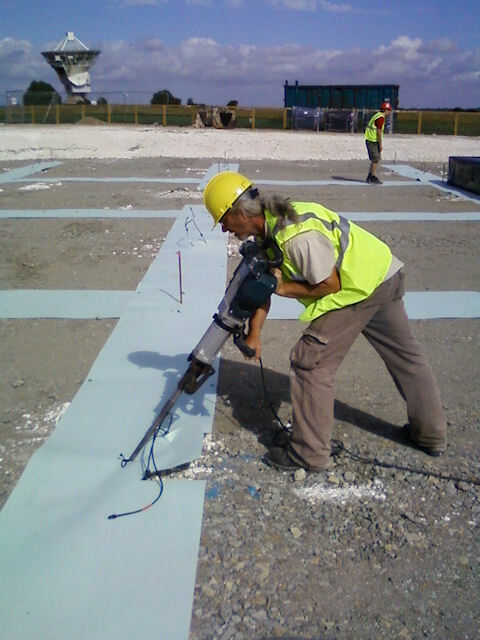 The angle is chosen to avoid interfering with underground cabling. "Geen Problem!" (Dutch for "No problem!") 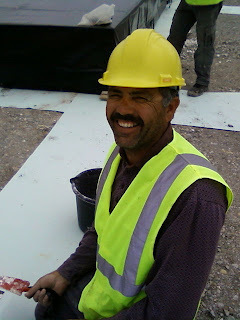 Zabet Ahmadi prepares some cables ready for insertion into the base of and HBA tile. Eric Petrusma (front left) and Rob D'Alessandro (front right) lift a stack of "lids" onto a tile under preparation. 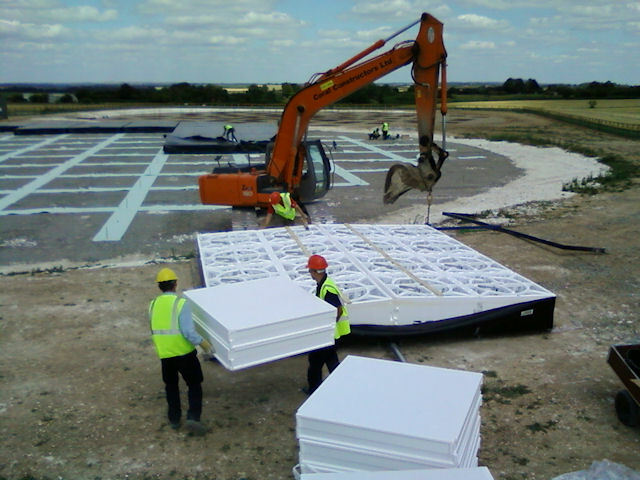 Bjorn Gustavsson (in front of the digger) fastens the lower plastic sheeting to the polystyrene frame. This viewpoint helps show the honeycomb structure within each tile. John Murray drives the digger down onto the field to start work on tile deployment. In the lower right of the photograph is Eric Petrusma, giving a pretty good idea as to how big the lifting rig is. 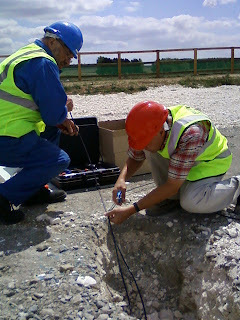 Mal Clarke (left) and Jon Eastment repair a damaged cable with a set of careful joins, connections and sealant. The specialist toolkit was provided at short notice by ASTRON to respond to the problems on the site.